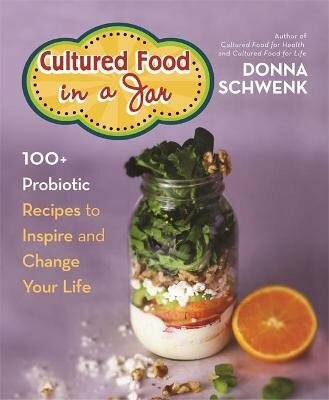 In her third cookbook, creator and founder of the Cultured Food Life blog and author of Cultured Food for Life and Cultured Food for Health Donna Schwenk offers over 100 probiotic recipes for the on-the-go lifestyle. These cultured food recipes are easy-to-make and all portable in jars. Schwenk covers everything from the basics like making your own kefir, kombucha and nondairy milks, to snacks and beverages, to filling, savory meals. Complete with full-colour photos and clear, thorough instructions, Cultured Food in a Jar offers an accessible, mouthwatering approach to probiotic eating and gut health.